Washer Interior Size Any4.0 cu.ft. - 4.5 cu.ft.Less than 4 cu. ft.
Width Any27 to 27 7/8 inchesLess than 26 inLess than 26 in. 1.6 Cu. Ft. Compact Front Load Washer 1200 RPM with High Efficiency, Automatic Water Level, Delay Start. 1.6 Cu. Ft. Compact Front Load Washer 1200 RPM with High Efficiency, Automatic Water Level, Delay Start. The Super Washer 824 is the slimmest washer in North America. Twenty years in the making, this model of water and energy efficiency defies the old demand for the "proper" washer connection with the convertible-washing feature. This machine breaks the barriers that lock your washer into a specific space in your home or apartment. You'll never have to decide between a small, medium, or large load again. 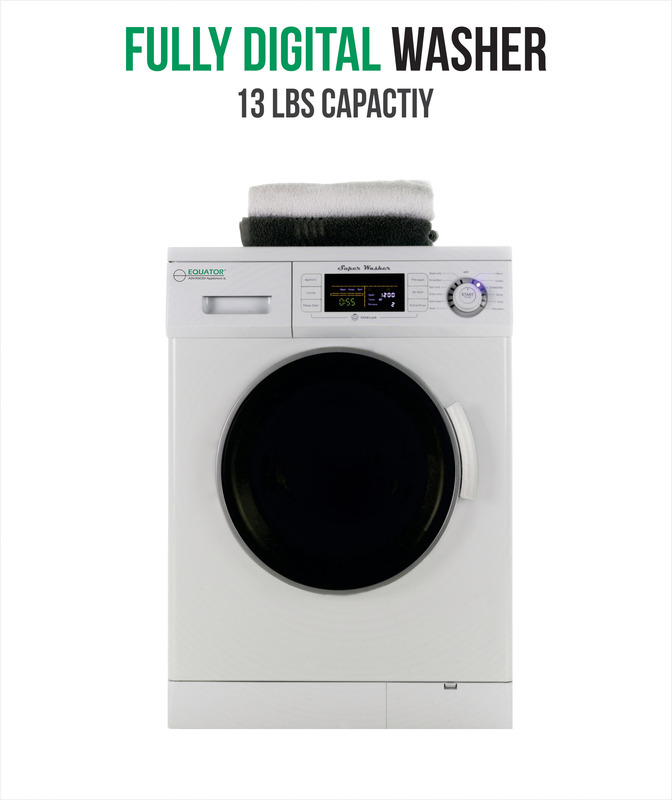 The Super Washer 824 features a weight sensor that determines the correct amount of fill water to prevent water waste. 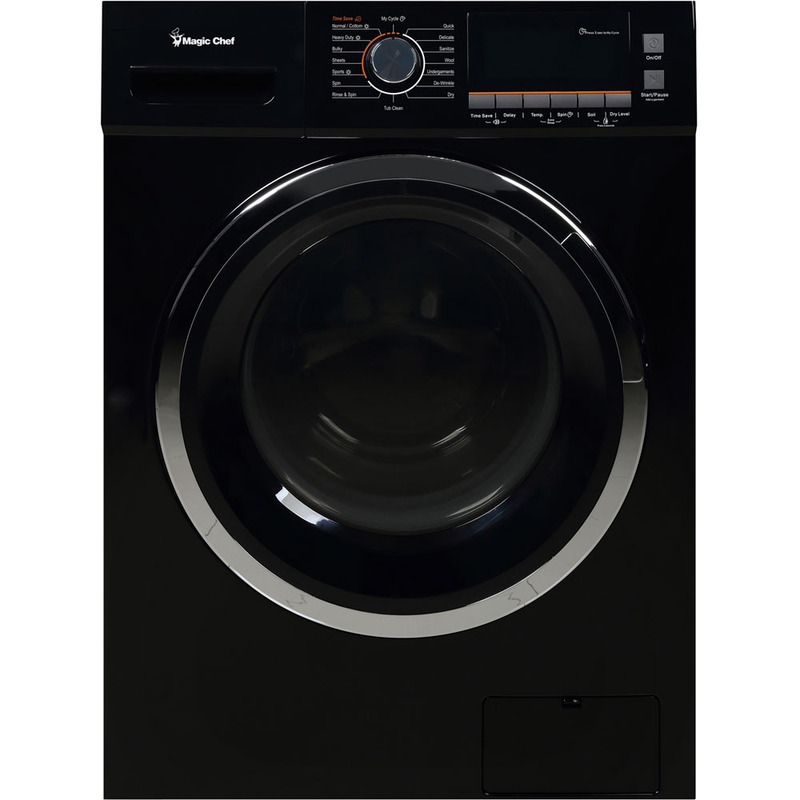 At only easily 33.25 x 23.5 x 22 inches (HxWxD), this washer fits easily into small homes, apartments or anywhere space is an issue. The front-loading machine has 12 programmable features that enable it to stand proudly alongside larger counterparts. The 13 lb. load capacity cleans small loads efficiently, with minimal water and electricity usage. Adjustable leveling legs keep the machine stable no matter what surface it's on, and the ergonomic 45-degree angled door handle prevents excessive bending and back strain.